2 Sets Black Metal Rectangle Gates Door Mate Latch Hasp Staple 4.6"
Product prices and availability are accurate as of 2019-04-13 09:47:28 UTC and are subject to change. Any price and availability information displayed on http://www.amazon.com/ at the time of purchase will apply to the purchase of this product. 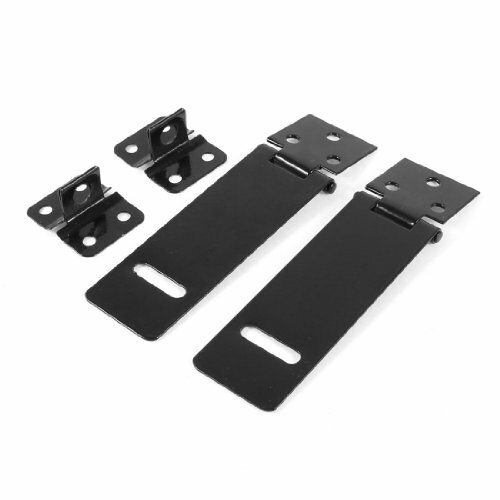 Made of matel material, used for a long life span.Designed for doors closing, provide additional security, mounts easily.Ideal for using on doors, gates and cabinets, etc.Screws are not included here!